Konnichiwa! Calling out to fans of all things Japan! 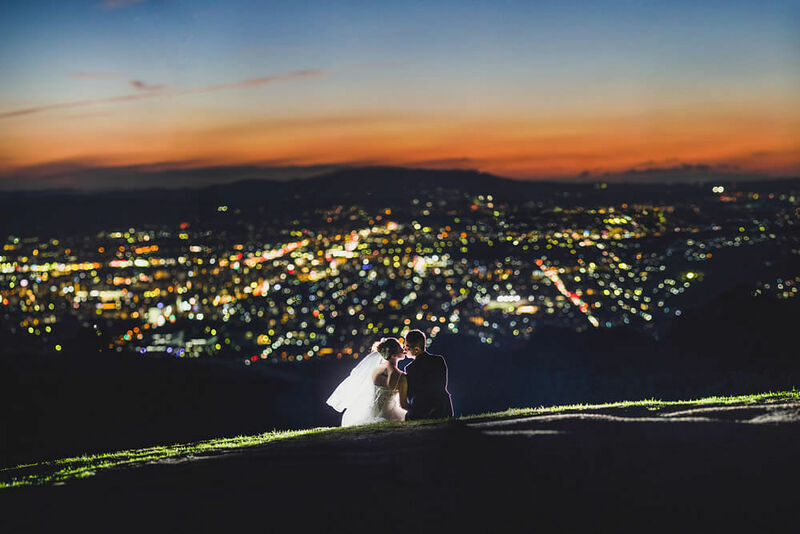 There’s a new destination pre-wedding package that will capture your modern love story against the stunning landscapes of Japan – completely hassle-free. 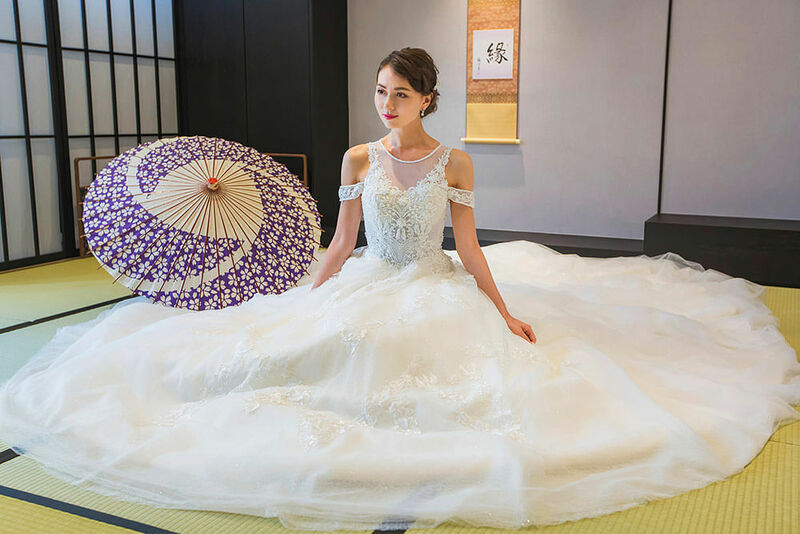 The Louvre Bridal – known for being the first to bring in Korean themed wedding concepts to our shores – are now the first retailer for modern Japanese wedding gowns in Singapore. 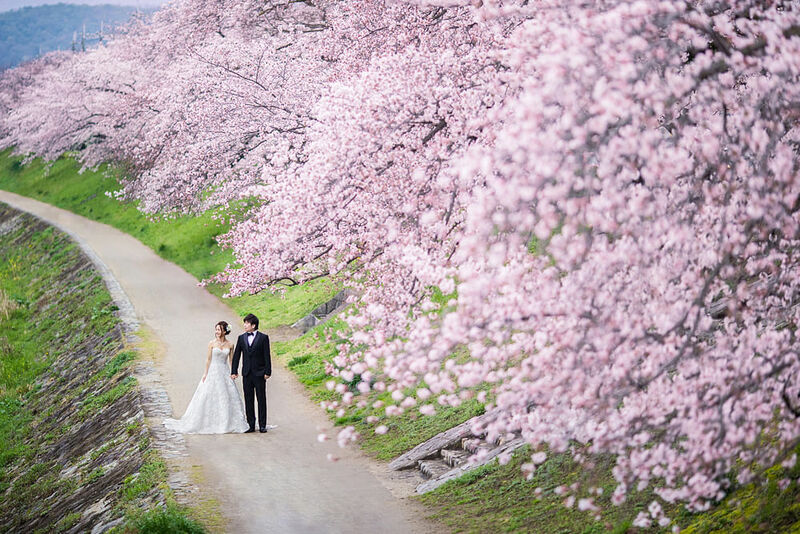 From the charming riverside of Kyoto in autumn; to the untouched beauty of Hokkaido in winter, the bustling metropolitan streets of Tokyo lined with cherry blossom trees or even the tropical beaches of Okinawa, you can take your pick of the seasons and cities with The Louvre Bridal’s Japan pre-wedding packages for your love story. Daunted by the prospect of planning a destination pre-wedding shoot? With The Louvre Bridal, the only thing you need to do is to fly yourself there and they will take care of the rest. With years of specialising in destination pre-wedding photography and packages under their belt, you’ll be in good hands. 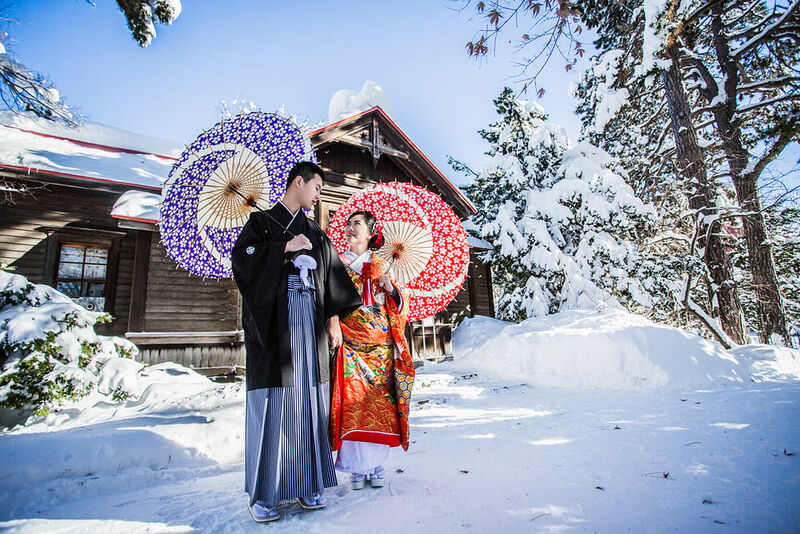 Their pre-wedding packages includes customised photo shoot itinerary, coordination and service by their Japanese wedding team of experts throughout your trip. No wedding shoot is complete without the romance and excitement of putting on a gorgeous gown. The Louvre Bridal will be introducing a new, modern line of Japanese wedding gowns that evoke the feminine, delicate beauty of a bride that can be worn for your pre-wedding and actual day celebration. Think romantic floral embellishments, luxe airy fabrics and soft delicate appliques on decidedly girlish silhouettes that are timeless and trendy. These gowns will sure befitting of the Japan backdrops that you’ll be shooting against! To celebrate the launch of their first Japanese wedding dress collection “Nadeshiko (Japanese beauty) なでしこ” in Singapore, and their Japan wedding packages, you can enjoy attractive cash discounts and perks when you sign up during their upcoming event – A Song of Japan. In addition, one lucky couple will get to walk away with a pair of air tickets to Japan! You can also enjoy first-hand previews of their packages and Japanese wedding gown collection, and even pick up on Japanese bridal hair and makeup tips by professional makeup artist Otani Yukiko at the event so be sure to be there! Couples who pre-registered for the event will be entitled to an attractive goodie bag courtesy of Decorté by KOSÉ. Sign up today! "The Journey of Happiness Begins 幸せの旅が始まる"